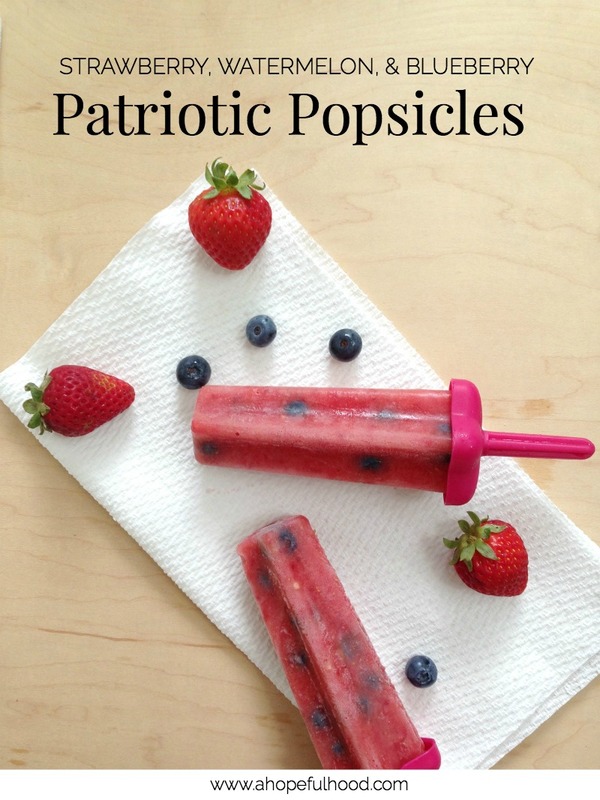 This year, I tried making some patriotic popsicles for the 4th, and they might be messy to make (shoutout to all the "kitchen helpers" under the age of 5).....but so worth it. 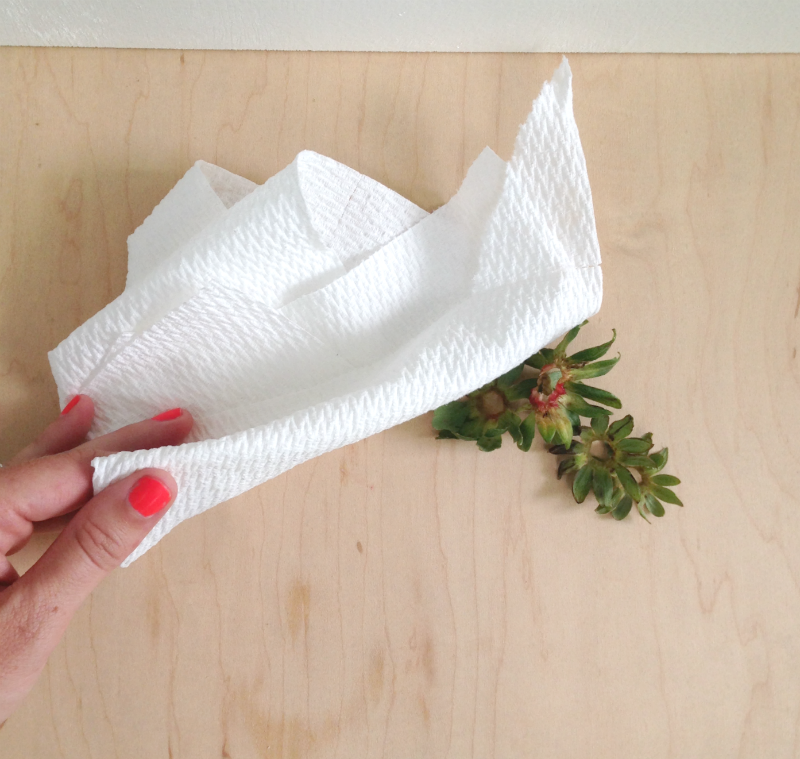 They're easy, are 100% fruit, and have no sugar added (I'm looking at you, Firecracker popsicles of my childhood. 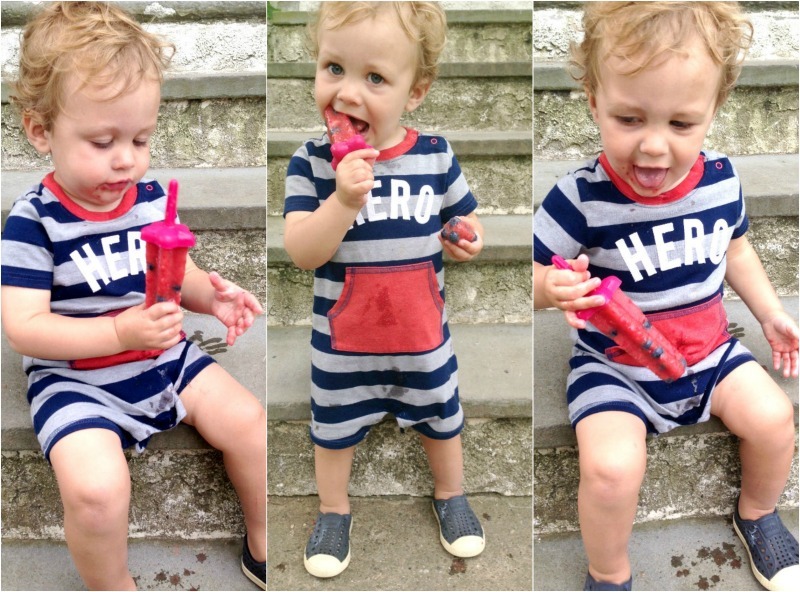 Anyone else grow up with those red white and blue popsicles??). Blend the watermelon & strawberries until a mostly smooth with some chunks mixture (I used a food processor). 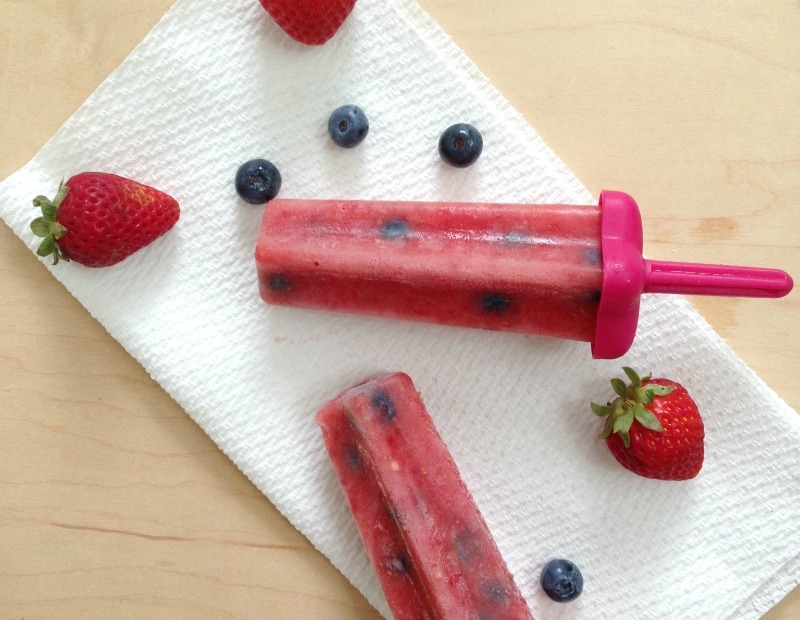 Pour a little bit of the blended mixture into the popsicle mold, adding blueberries as desired. What are your 4th of July plans? Are you making any red, white & blue desserts?